Established in 1977, Gerry's has steadfastly strived to maintain a consistently high quality in all it's products. 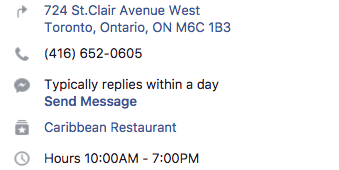 Gerry's has a wide selection of Caribbean favourites that include, mouthwatering Curried Goat, Oxtail, Jerk Chicken, and Jerk Pork to name a few. Rotis are also a popular staple of Gerry's. These are available in vegetarian or meat. 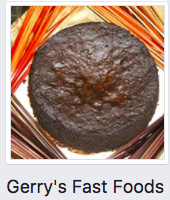 Gerry's also makes their own beef and vegetarian patties along with a variety of cakes, puddings, and pastries. For a taste of "Real Yard Style Jamaican cuisine" drop by and see us today! Authentic Jamaican Cuisine and Bakery. Daily Meals, Catering, Special Occasion cakes, and much more!